According to his paper the data came from an industry competitive intelligence report, augmented by diligent googling. I believe the image was created with OmniGraffle. He also created an animation of the time aspects. 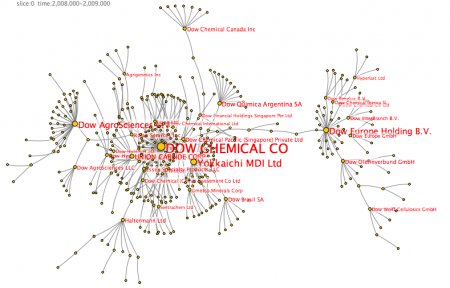 Although several of the parent companies appear in FEC subsidiary data, most are foreign companies, so we only have subsidary trees for Monsanto, DuPont, Land O’Lakes and Dow Chemical. 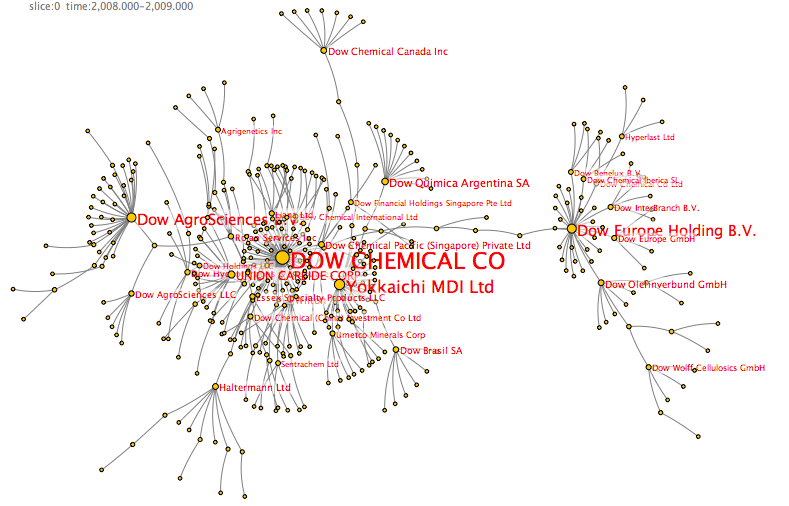 The image below shows the ownership network hierarchy for Dow Chemical alone according to what we could parse out of their 2009 SEC filings. 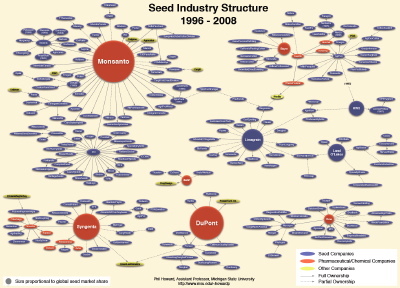 It does not include the seed brands as distinct nodes as Phil’s image does, and includes many subsidiaries that are not involved in seed production.